Published by Mountainblog on 01/18/2019 . Skin skis are revolutionizing the Nordic Ski market. These easy-to-ski and easy-to-prepare classic skis feature a glued-in skin instead of a traditional wax pocket in the base. 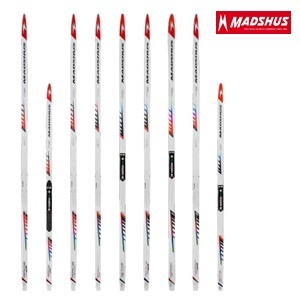 They perform so well, that the share of skin skis at Madshus, one of the major players in the XC ski market, amounts to approximately 50% of all skis sold. For this reason, the Norwegian brand has completely re-engineered their IntelliGrip® series, which is now branded as its own category. It includes ten models, five with a clear good-better-best naming system, two wider models for poorer tracks and three kids-/junior models.